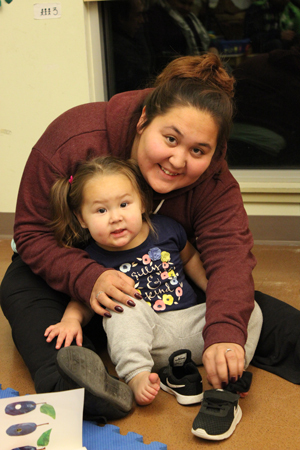 On a blustery and bitterly cold December night, the NWIC Early Learning Center cranked up the heat and welcomed families and community members to celebrate traditional plants and foods in Coast Salish culture. 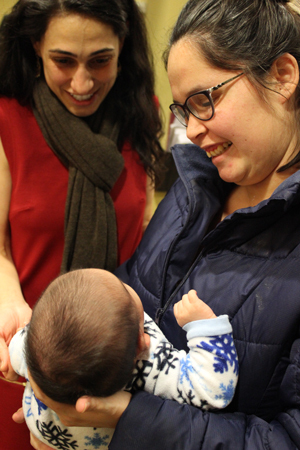 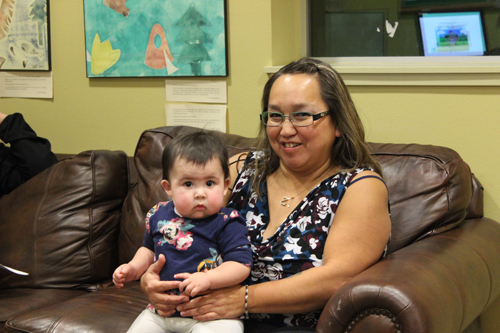 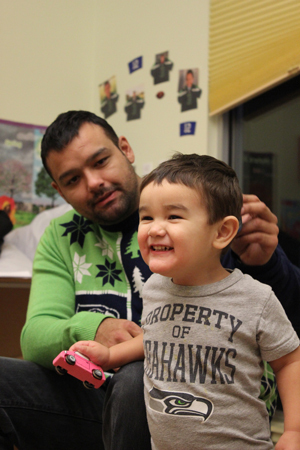 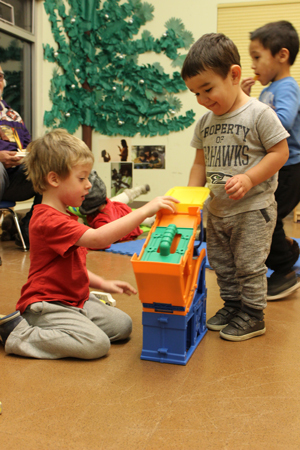 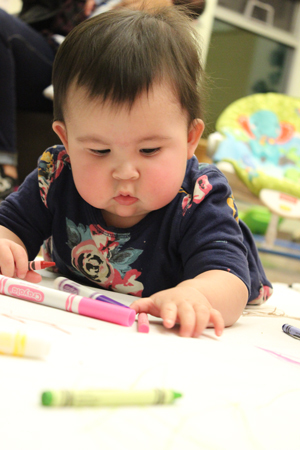 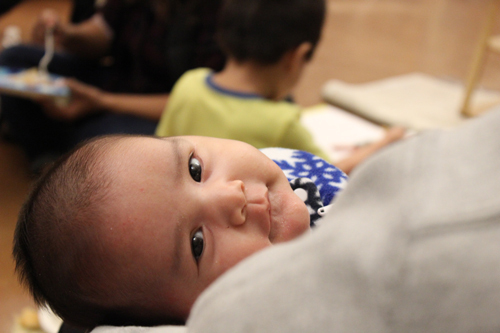 In spite of the winters chill, the event was an amazing success, with nine enrolled Early Learning Center (ELC) families, and eight families from the Lummi community. 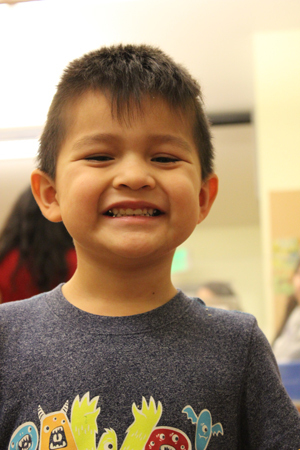 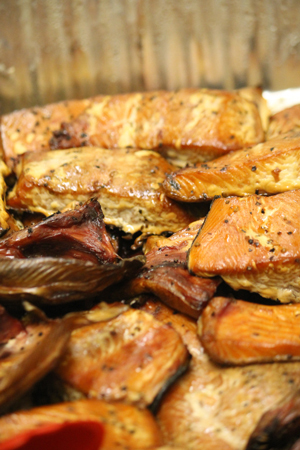 The Families came to enjoy fresh grilled salmon caught by Lummi fisherman, homemade clam chowder and frybread cooked by the Lummi Blackhawks Spirit Squad, the Booster Club for the Lummi Nation School sports teams. 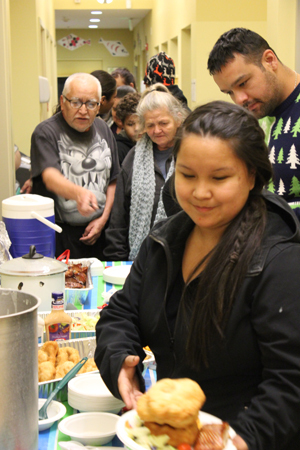 The food was blessed by Lee Plaster, to show our appreciation for the abundance of food, friends and family and to honor the cooks and fisherman. 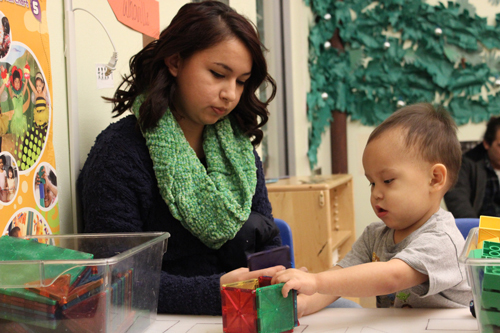 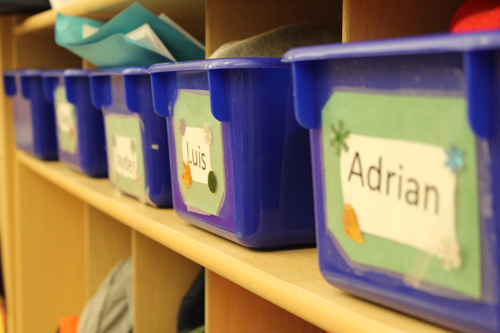 The ELC staff prepared activities for children in its large preschool room and provided free childcare during the event. 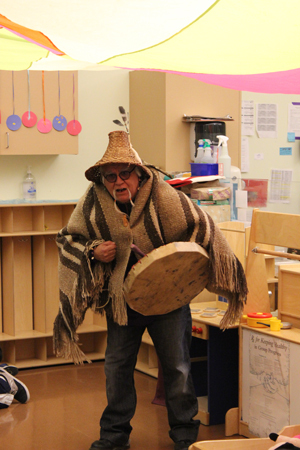 Children and families were entertained after dinner by local storyteller Frank Goes Behind, who shared Coast Salish cultural legends in a way that demonstrated his many years of work in early childhood programs and his talent for traditional storytelling. 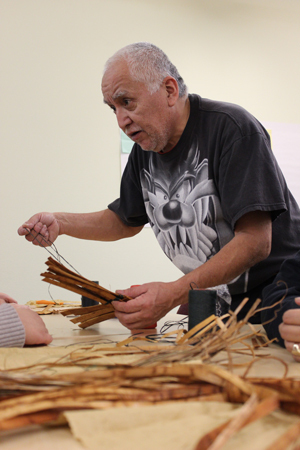 Frank began his performance by reminding guests that the cold winter months are traditionally the time to gather together with family and friends for food, crafting and stories after the work of gathering and storing food and supplies has ended for the season. 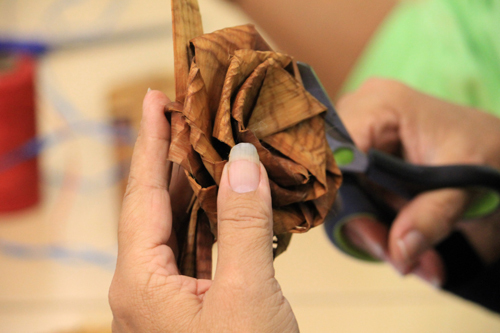 After Frank completed several stories for both children, families and guests, event organizers thanked him and warmly invited the adult guests and older children to join us in an adjacent building for a cedar bark weaving demonstration hosted by Lee and Isabelle Plaster and Nanette Christenson, local cedar weavers, who taught guests how to make cedar roses or cedar bracelets depending on their interest and ability. 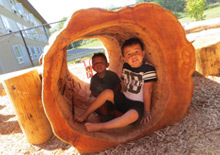 The bark of the Western Red Cedar has traditionally been harvested and woven into baskets, clothes, hats, blankets, while the wood is used for carving totems, canoes and tools. 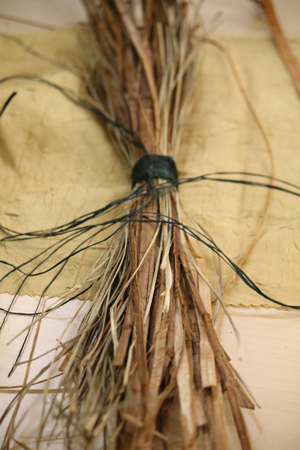 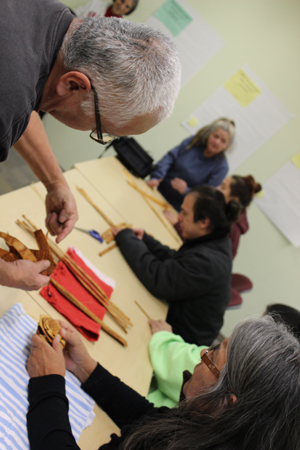 Our event was designed to honor the use of this versatile traditional plant and its continued cultural importance to the community as a natural resource and connection totraditional knowledge. 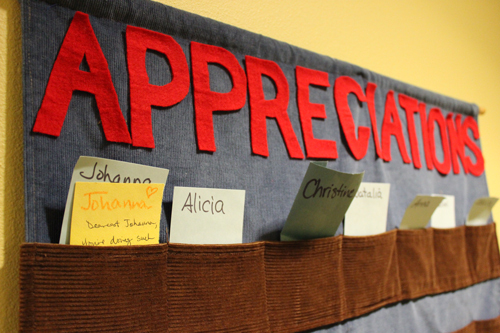 And we soon realized that our event had a much greater impact as well. 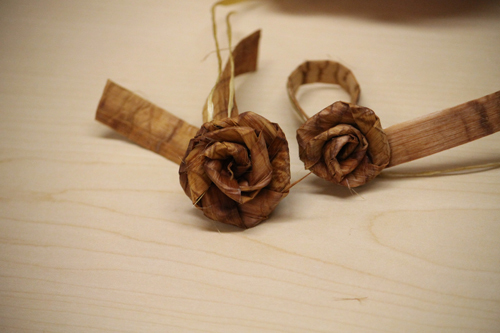 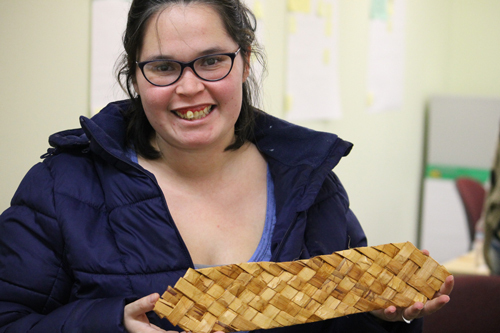 This event served as a catalyst that resulted in the Plaster family, which led our cedar weaving activities, to start its new business. 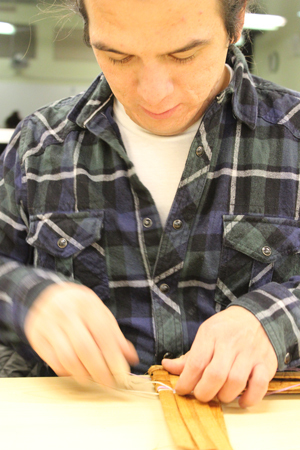 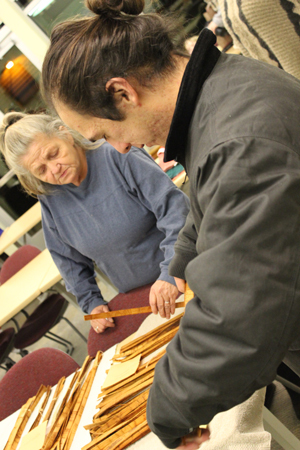 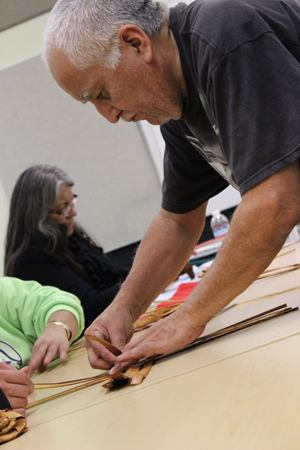 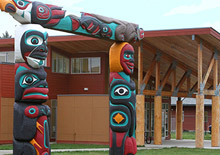 In addition to the business license and insurance that they had already secured, immediately following our Family Engagement Event, the Plasters secured rental space in a nearby shopping center, in order to showcase their artwork and continue to facilitate cedar weaving classes for tribal members and those interested from neighboring communities. 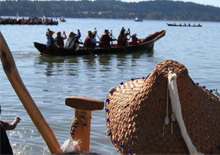 The Plaster family has also intensified its marketing efforts, posting flyers all over Bellingham, WA and speaking to fellow business owners and leaders in other tribal nations about their endeavors.And they have invited extended family members to join in their entrepreneurial efforts. 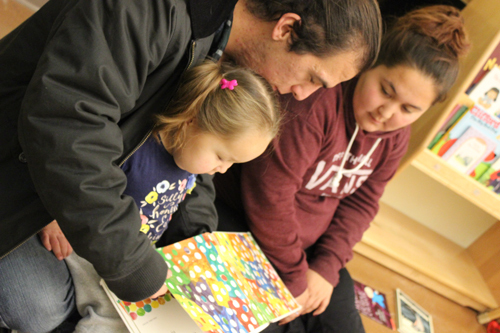 As one witness expressed, the Restorative Teachings Family Engagement Event has really encouraged the Plaster family “to blossom,” resulting in significant and positive changes in their “self-esteem and confidence” (Adib Jamshedi, Personal Communication, January 4, 2017). 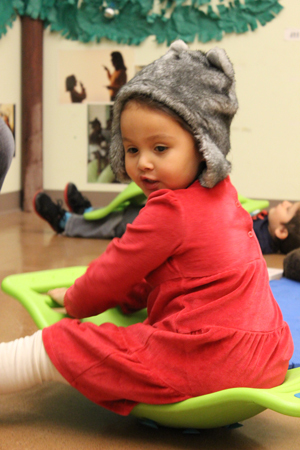 Most importantly, our event helped to instill in the Plaster family a sense of purpose. 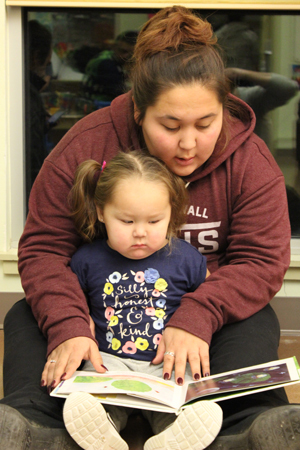 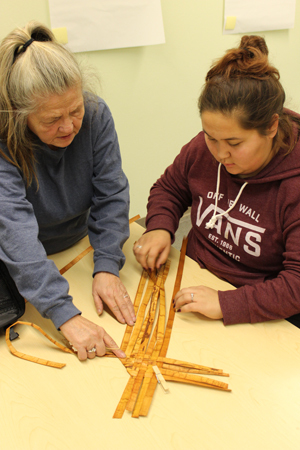 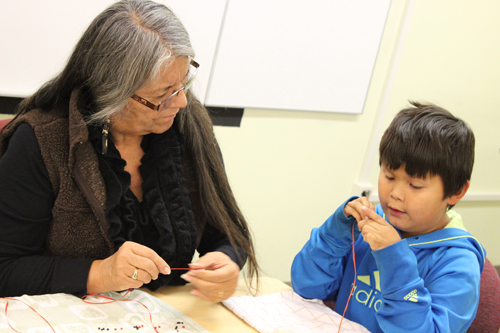 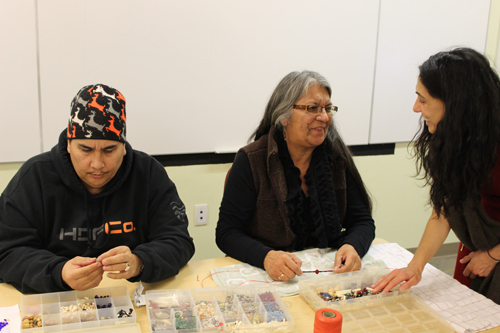 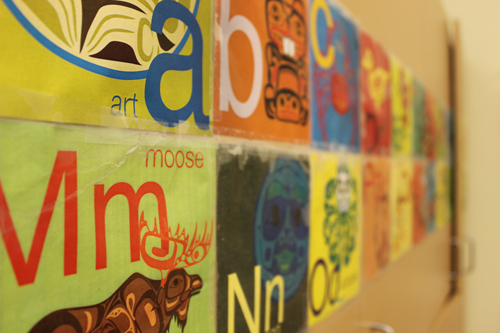 They feel more useful in their community and are honored to have the opportunity to share their Indigenous knowledge with others.As the aforementioned story exemplifies, the Restorative Teachings Early Childhood Education Initiative is building stronger foundations for economic access and security for tribal members! 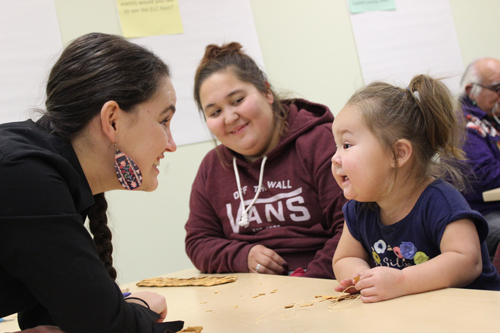 The Restorative Teachings Coordinating Team and the NWIC Early Learning Center thank all who supported and attended this wonderful family engagement event. 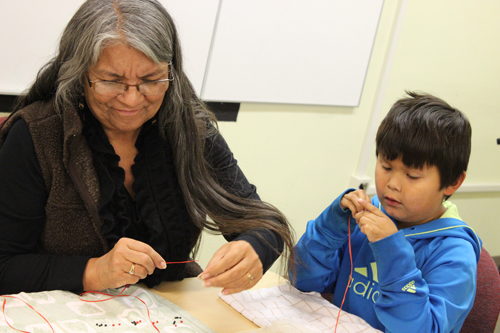 We look forward to continuing to bring our families and community together in ways that are meaningful, support traditional knowledge, and are fun for the whole family.